So I am standing on the corner of Westport Rd. 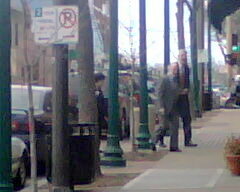 and Pennsylvania, minding my own business, when KC Mayor is walking across the street, without a posse. Then his wife finally caught up with him, because he makes giant steps and she has to run just to keep up, and they walked into Harpos. 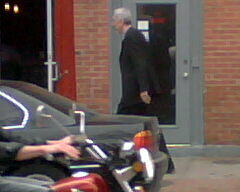 I need a better camera but trust me it was him.